Atheists and materialists would say that science arose in the 16th and 17th centuries, fully mature, like Botticelli’s Venus arising from the ocean. According to them it arose then because Europe had shaken off the limiting bonds of Catholic doctrine. Pierre Duhem’s historical studies of science show that this is not so. Duhem dates the birth of science to 1277, the year the Bishop of Paris, Etienne Tempier, condemned a number of errors from astrology and from the Peripatetic philosophers (those following Aristotle). The condemned articles contended that the earth could not move, that worlds other than earth could not exist, that empty space (a vacuum) was impossible, and proposed principles of motion that were shown later to be false. Bishop Tempier condemned the articles not because of scientific errors, but because they apparently limited God’s power. Once these Peripatetic dicta were declared non-binding, scholars—almost all of them clerics—were able to explore new ways to explain the world around us, ways that would grow into the scientific method. Bertrand Russell’s comment about the two books of Aristotle that embodied the condemned articles, The Physics and On The Heavens (which he greatly admired), is appropriate: “there is hardly a sentence in either that is not contradicted by modern science”. He held that the projectile was moved by the fluid medium, whether air or water, through which it passed and this, by virtue of the vibration brought about in the fluid at the moment of throwing, and spread through it [the vibration through the medium]. Buridan gave the name impetus to the virtue or power communicated to the projectile by the hand or instrument throwing it; he declared that in any given body in motion this impetus was proportional to the velocity, and that in different bodies in motion propelled by the same velocity, the quantities of impetus were proportional to the mass or quantity of matter defined as it was afterward defined by Newton. Impetus is that which we now term momentum, defined by p = mv, where p is momentum, m is mass, and v is velocity. The effects of air resistance and gravity (for a projectile thrown upwards) in slowing the motion, “destroying impetus”, were taken into account by Buridan. He thus analyzed the motion of the pendulum, the mechanism for impact and rebound, and the deformation of elastic bodies. This implies that gravity is a force that increases the impetus (momentum) of the falling body. If these dynamic laws applied to motion of bodies on earth, they should also apply to the “heavenly” bodies, despite the restriction laid down by Aristotle that the motion of the heavenly spheres was governed by different laws than those of earthly bodies. If there is nothing to reduce impetus—no air or medium to give rise to friction—then the heavenly bodies can keep moving without ceasing; the initial impetus is given “by God at the moment of creation”. Thus the notion of inertia came into being. Note that “uniformly varied motion” is equivalent to uniform acceleration. (These propositions were put forth before acceleration was understood as a property of motion.) This means that the distance travelled in such motion during an interval of time would be that given by the average velocity for the interval (mean of beginning and ending velocity) multiplied by the time interval. Oresme’s proposition was modified by Domingo Soto (1494-1560, professor of theology at Salamanca): “The velocity of a falling body increases proportionally to the time of the fall. The space traversed in a uniformly varied motion is the same as in a uniform motion occupying the same time, its velocity being the mean velocity of the former.” Soto’s formulation leads to Galileo’s Law of Falling Bodies, that the distance fallen is proportion to the square of the time of fall. This can be seen diagrammatically (as shown by Oresme) or algebraically. All the work described above sets the stage for Galileo—his important contribution was to introduce experimental tests of the mathematical hypotheses, inclined plane experiments, telescopic observations to confirm the Copernican hypothesis. Galileo’s ideas about dynamics did not yet reach the stage taught in first year physics classes today (loc 970). He then taught that the motion of a freely falling body was uniformly accelerated; in favour of this law, he contented himself with appealing to its simplicity without considering the continual increase of impetus under the influence of gravity. Gravity creates, in equal periods, a new and uniform impetus which, added to that already acquired, causes the total impetus to increase in arithmetical progression according to the time occupied in the fall; hence the velocity of the falling body. Although Galileo achieved much, in different areas of physics and astronomy, he still followed in the tradition of his predecessors. The relation of acceleration to force had to wait for Newton’s Law, F= m a. Why did this development of physics and cosmology occur begin and grow in Medieval Christendom, but not in the ancient Hellenistic worlds or other civilizations? Excellent answers have been given, in some detail, by Fr. Stanley Jaki and Dr. Stacey Trasancos. There was a world view, founded on Judaeo-Christian theology, that God was good and created a universe that was good and meant to be intelligible to mankind. As Duhem points out, the Medieval scholars were freed in 1277 from erroneous restrictions they would have had to follow if Aristotle’s principles were to be a compulsory base for theories. In the earliest part of this growth they were priests; this meant that they, as do academics today, had time to do scholarly work and did not have to worry about earning a living from non-scholarly pursuits. There was a continuity of development from the 13th century to Galileo; science did not spring full-blown with Galileo, despite his critical introduction of empirical verification of theoretical ideas and his insights in astronomy and dynamics. More detail can be found at Kurland’s site. No they don’t, some–a minority–might…but making a sweeping generalization that is fundamentally false just to refute it is pretty lame. and a lot more happened independent of the Church. The overtly biased emphasis of the article, using selective examples sliced neatly out of broach context, to suggest that the scientific method & such arose because of the Catholic Church makes for a nice case-study in propaganda. But that aside, it’s a nice piece. Many thanks, Bob Kurland, for pulling this together. The myth of ‘science’ arising almost because of ‘science’s’ opposition to the Catholic Church in particular is one of several notable ‘Black Myths’ against the Church concocted and promoted by some of her bitter historical enemies, directly into the teeth of the facts. I note here that Duhem’s research itself languished unremarked for decades (hmmm, wonder why), and I also note the significant contribution of the late physicist Fr. Stanley Jaki, OSB in reviving and appreciating Duhem’s research and insights. I take that to mean that Catholics are also free to imagine that Aristotelian Powers and Essences may not necessarily be the perfect, impeccable, absolutely-valid-for-all-time way to think about Cause. I absolutely agree with Ken. For instance, the Church’s stubbornly anti-science position and its active resistance to science is glaringly evident in Bishops Demand World-Wide Decarbonization. That’s what you were referring to, right? So, as in many other enterprises, it depends in the SHORT TERM, on who’s piloting the ship. Why does this piece remind me of the IPCC? Here are some observations to help one distinguish between the people–laity, priests, religious, bishops, pope–who are part of the Catholic Church and the Church itself (as the Body of Christ). I don’t know, Hans; why don’t you tell us why? Ringfencing, and condemning the heretics. What a self-serving steaming pile of Christian apologist nonsense. I don;t even know where to begin. You guys should avoid history, it does not suit you at all. I was particularly taken by the early development of the thinking on “impetus” and Leonardo’s recognition “that the velocity of a freely-falling body is proportional to the time the body has fallen.” If I recall my compulsory college science course correctly, the professor used a similar term, “impulse,” for the product of force and time, a quantity that is the alter ego of momentum just as work is the alter ego of energy. After this sweeping statement I stopped reading. Atheists and materialists did /do not conduct inquisitions. Would not have burned Bruno Giordano, pinning his mouth shut first. What a self-serving steaming pile of Christian apologist nonsense. I don;t even know where to begin. I know. You could begin by citing the errors in the post! That way, you could reply with a pile of empirical facts! What a radical notion! You should not not avoid history, even when it fails to conform with your deeply held beliefs. Bob did not even address the deeper influences. YOS, thank you for replying to JMJ. When all that comment contain are invective and assertions without justification, I don’t bother to reply to them. With respect to deeper issues: one can only do so much in even a not-so-short article. I did reference Fr. Jaki’s and Stacy Trasanco’s work, who have done a much more complete coverage of why science developed in Western Christendom and not elsewhere. I do have (and have read) Lindberg’s book. It doesn’t take Duhem’s thesis as strongly I would have it. Wait, that was a later book by Lindberg that i have: “Beginning of Western Science”. Between this post, the linked ones, and TOS’s Great (in many senses) Ptolemaic Smackdown, I’ve got a good bookmark set that I send people many times over! “Atheists and materialists would say X” MEANS “some”, even “many” A’s and M’s say X — just like “dogs chase cars” doesn’t mean all dogs chase cars, and “children go to school at age five or six” doesn’t mean some don’t go at seven or not at all. Slim pickings indeed. The Magisterium was not interested in scientific progress: indeed, the opposite: social and moral stability was their goal. Huxley’s Brave New World is a re-imagining of the Medieval Church, but in a future society. There too, all scientific progress has stopped. Copernicus was so fearful of the Church that he would only allow publication of the De revolutionibus orbium coelestium after his death. Galileo was imprisoned for his efforts. Descartes presented his scientific ideas in opposition to the embalmed intellectualism of the Scholastics. Of course, there are two sides to every story. The Church was one of the few remaining bastions of scholarship in the ancient and medieval worlds. They preserved philosophical and scientific writings that might otherwise have been lost. The Magisterium opposed progress for the same reasons the Roman Empire opposed progress: lifting of the populace out of misery did nothing to advance the personal goals of the Emperor or the moral goodness of the flock. Also, I have that page bookmarked, too! Great stuff. Nor were they interested in auto mechanics. The magisterium is the teaching authority of the Church and (if we are to reify an abstraction like that, the Church has no teaching authority in matters of natural philosophy. social and moral stability was their goal. Well, we can’t have any of that moral stability now, can we. Huxley’s Brave New World is a re-imagining of the Medieval Church, but in a future society. Actually, it was an imagining of a future scientifically-ordered society. Copernicus was so fearful of the Church that he would only allow publication of the De revolutionibus orbium coelestium after his death. He was fearful of the mockery of the physicists and mathematicians. He had already been satirized on the stage. It wasn’t as if the subject was not being talked about. All Copernicus did was work out the math for such a system. Unfortunately, his twenty-plus epicycles were more than Peuerbach’s then-current edition of Ptolemy. In 1533, the papal secretary, Johann Albrecht Widmannstetter delivered a lecture on Copernicus’ as yet unpublished theories to Pope Clement VII and an assembled company in the papal gardens. The lecture was probably based on Copernicus’ Commentariolus, the manuscript pamphlet of his ideas written around 1510. (De revolutionibus wasn’t published until 1543.) The Pope found much favor in the lecture and gave Widmannstetter a valuable present for his troubles. Two years later Widmannstetter became secretary to Nikolaus Cardinal von Schönberg, an archbishop and papal legate, who had been present at that lecture. In 1536, Cardinal Schönberg wrote a letter to Copernicus urging him to make his theories public, and even offering to pay the costs of having his manuscript copied. Copernicus had Schönberg’s letter printed in the front of De revolutionibus. IOW, while the physicists mocked, churchmen offered to pay for publication. Galileo was imprisoned for his efforts. He was sentenced to house arrest: He was supposed to spend his time where he had been spending his time previously, on his beloved estate outside Florence. The conviction was problematical: it sabotaged a plea bargain arranged by the Pope’s nephew and may have reflected anti-Florentine prejudice by the Romans on the tribunal. In any case, “no honest lawyer” could have written the summary that was submitted. The conviction was for disobeying an injunction not to push geomobility as a proven fact, but only as a mathematical model. The Magisterium opposed progress for the same reasons the Roman Empire opposed progress: lifting of the populace out of misery did nothing to advance the personal goals of the Emperor or the moral goodness of the flock. OTOH, the Middle Ages were a time of great technological progress. The medievals invented deliberate technological innovation through research: They began to envision novelties and attempted systematically to achieve them. 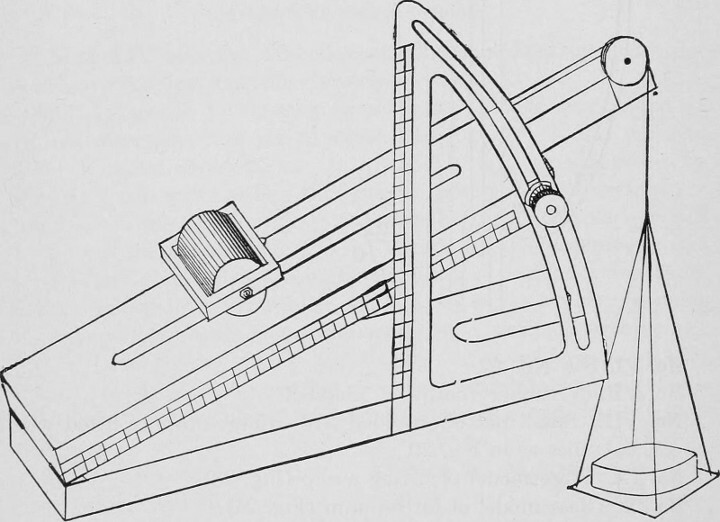 E.g., Robert the Englishman’s 1271 account of efforts “to invent an escapement which will move exactly as the equinoctial circle does…” By the mid-14th century, Europeans were raising intricate clocks in their public squares. By the 15th century, they had invented spring-driven portable clocks. By the end of the era, pendant clocks dangled on lanyards from the necks of the wealthy. The emergence of new technologies was virtually an article of faith. No bishops or theologians demonized new inventions or forbade their use. This idea of technological progress was a new thing in the world. For details of the medieval industrial revolution see esp. texts below by Gimpel, White, and the Gieses. –Crombie, A(listair). Robert Grosseteste and the Origins of Experimental Science. (Oxford, 1953). –Gies, Frances and & Joseph Gies. Cathedral, Forge, and Waterwheel. ( HarperPerennial, 1995). –Grant, Edward. The Foundations of Modern Science in the Middle Ages. (Cambridge University Press, 1996). –Lindberg, David C., ed. Science in the Middle Ages. (University of Chicago Press, 1978). Right so, Copernicus published after his death not because of fear of charges of heresy by the Church, but because the physics community of 1514 might have mocked his ideas. Sounds plausible, I suppose, if you’re a pseudo intellectual imbecile — given the fact that there was no physics community in 1514. Galileo irritated the Church in part because he published in Italian, not the Latin of the Church, where his ideas would be limited in exposure. The Church hierarchy was tolerant of new ideas, so long as they were discussed by the power structure itself, and not the populace. The claim that nobody understood what progress was until recently is ludicrous. For example, Petronius recounted the story of Tiberius who executed the inventor of unbreakable glass. (There are similar stories by Dio Cassius and Pliny.) The truth of the story is not the point, but rather the story itself illustrates that everyone understood what technological progress was and its positive and negative implications. I could go on, but there is little to be gained by spending all day rebutting foolishness. Copernicus published after his death not because of fear of charges of heresy by the Church, but because the physics community of 1514 might have mocked his ideas. Sounds plausible, I suppose, if you’re a pseudo intellectual imbecile — given the fact that there was no physics community in 1514. One of the prices of being a pseudo intellectual imbecile is having to read extensively in the actual histories rather than depend on fables and myths. Oh well. Those who know that the consensus of many centuries has sanctioned the conception that the earth remains at rest in the middle of the heaven as its center would, I reflected, regard it as an insane pronouncement if I made the opposite assertion that the earth moves. Therefore I debated with myself for a long time whether to publish the volume which I wrote to prove the earth’s motion or rather to follow the example of the Pythagoreans and certain others, who used to transmit philosophy’s secrets only to kinsmen and friends, not in writing but by word of mouth, as is shown by Lysis’ letter to Hipparchus. And they did so, it seems to me, not, as some suppose, because they were in some way jealous about their teachings, which would be spread around; on the contrary, they wanted the very beautiful thoughts attained by great men of deep devotion not to be ridiculed by those who are reluctant to exert themselves vigorously in any literary pursuit unless it is lucrative; or if they are stimulated to the nonacquisitive study of philosophy by the exhortation and example of others, yet because of their dullness of mind they play the same part among philosophers as drones among bees. When I weighed these considerations, the scorn which I had reason to fear on account of the novelty and unconventionality of my opinion almost induced me to abandon completely the work which I had undertaken. You may disagree with the historical scholarship, but don’t ask me to do so. I notice you said nothing about the evidence regarding technological change in the Middle Ages which you claimed did not happen. As for the Satyricon of Petronius, it might be well to understand the nature of “a disreputable work of fiction” before deciding it reports 19th century-style straight-up history. I don’t disagree with the historical scholarship, merely the claims of pseudo intellectual imbeciles who twist the scholarship to serve their beliefs. I suppose Giordano Bruno was burnt at the stake by the inquisition not long after Copernicus, not over his refusal to denounce his cosmological ideas (such as the claim that stars were distant suns with possibly their own planetary systems), but for unpaid parking tickets. Documents revealed only relatively recently concerning his trial show that Bruno accepted all dogmatic theological claims but refused to denounce his cosmological claims. This put to bed the apologist assertion he was burnt for his theology and not his science. The Church as midwife of science. Laughable. No more so than was Nicholas of Cusa. Documents revealed only relatively recently concerning his trial show that Bruno accepted all dogmatic theological claims but refused to denounce his cosmological claims. Better tell the historians. Di Santillana, no friend of the Church, examined the bill of particulars, and of the eight counts, none had to do with his mystical riffs on astronomy. Global warming theology is similar. Cite one authority and ignore the twenty others who disagree. Pretend there is a consensus when your claim is the outlier. Cite one authority and ignore the twenty others who disagree. Pretend there is a consensus when your claim is the outlier. Or pretend that modern scholarship has moved on beyond the 19th century myths. 2. De Santillana, Giorgio. The Crime of Galileo. Chicago: University of Chicago Press, 1955. 4. Rowland, Wade. Galileo’s Mistake. New York: Arcade Publishing, 2003. Authors 1 and 3 are declared atheists. (The rest are unknown to me.) Author 2 is hostile to the Church. One of Authors 5 holds Galileo’s old chair at Padua. Anyhow, there’s five/six authorities compared to your…. well, none. Cranks toss up links without quotations or citations in the hope that the link is proof of something or other. For example the assertion that di Santillana agrees with your opinions, yet of course no quote is provided to support your claim. The usual tactics of the crank. So your argument is that Copernicus published after his death not because he was fearful of Church punishment, but because he would be mocked on Twitter by all the other cosmologists (or something). Ignore the fact that his cosmological writings ended up on the Chruch’s index of forbidden books. Put that idiocy aside. The next assertion is that not long after the death of Copernicus, Giordano Bruno was burnt at the stake. We know from very limited church records that “De l’infinito universo et mundi” and other cosmological notions were part of the charges against Bruno put to him by the inquisition. Can we say that he was burnt alive on the basis of his cosmological ideas alone? We cannot be 100% certain of that fact, because of insufficient records. This is not the same as trying to pretend that it was not part of the charges. To argue otherwise is the tactic of an imbecile. Not long after that, Galileo was charged specifically by the inquisition solely for his scientific ideas. That doesn’t make Galileo an angel by any means, but we have sufficient documentation for those events to establish that this is what occurred beyond doubt. Galileo was not burnt alive because he fully recanted his scientific ideas. The notion that the Church was the midwife of science is a laughable claim put forward by, and defended by, historically ignorant revisionists. For them, what the Church did historically were ‘myths’. Others with agendas argue that the Jews were not slaughtered by the Nazi regime, and that too is a ‘myth’. Progressives imagine that Darwin’s scientific ideas did not lay down the foundations for Eugenics early last century — which also lead to much death and destruction. To the ideological, these are ‘myths’ because it suits them to be myths. That does not mean, however, that the Church was anti-science at all times by all clergy throughout its history. Such an extreme position would be equally absurd. (1) On the one hand we have TOS actually furnishing copious references from serious scholars that people can actually and independently check out for themselves and form their opinion, on the other we have Will Nitschke making baseless claims with nary a scrap of evidence to back them up. (2) To the references given, to di Santillana for example, Will Nitschke responds by “For example the assertion that di Santillana agrees with your opinions, yet of course no quote is provided to support your claim. The usual tactics of the crank.” Since Will Nitschke cannot do what he requests TOS to do (provide a quote to show that the latter is misinterpreting di Santillana), what name should we give to this rhetorical ploy? “The usual tactics of the crank”? (3) On the one hand, we have TOS that cites serious scholars. Will Nitschke replies as “Cite one authority and ignore the twenty others who disagree. Pretend there is a consensus when your claim is the outlier.” Given that Will Nitschke has not presented a single authority, let alone twenty, that rebuts what TOS is saying, how seriously should we take him? Of course, if TOS does present authorities, he is greeted with “Cranks toss up links without quotations or citations in the hope that the link is proof of something or other.”. Complete absence of links, quotations or citations is proof of what? (4) And finally, as if the above was not enough, on the one hand we have TOS who is unfailingly gracious, on the other we have Will Nitschke hurling epithets like “pseudo intellectual imbecile”. I do not know TOS personally, but from his comments, imbecility is certainly not one of his traits. On the plane of intellectual seriousness, probity and responsibility, we have on the one hand a gentleman — who may well be wrong, that is, in the end his arguments may not survive scrutiny — trying to have a serious discussion, on the other someone behaving no better than a nitwit scumbag. There is something quite despicable about this fake kind of ‘scholarship.’ It begins with a conclusion. Then the literate is mined for quotes, all out of context, that appear to superficially agree with the proposed narrative. Useful idiots, already predisposed to the narrative, attack alternatives to the narrative, i.e., the actual scholarship. All rather sad and pathetic. The small circle of cranks supporting this nonsense become so invested in these beliefs, that they lack the self awareness to realise that their claims are easily debunked and will be met with widespread derision outside their sheltered groups. On a different forum, non political, when discussing living standards in the former Soviet Union, I was attacked for being gullible and that I shouldn’t believe everything ‘I’d learnt on YouTube.’ I suppose it never occurred to the writer of that statement, no doubt some earnest teenager, to inquire as to my heritage (many of my relatives were East Germans) or whether I’d actually visited these places several decades ago, and saw what I’d written with my own eyes… This is how truth becomes ‘myths’ in the eyes of believers. I suppose he could be forgiven as a young fool. Old fools have fewer excuses. Indeed. But not so much despicable as sad. It begins with a conclusion. As we have seen on several occasions. Then the literate is mined for quotes, all out of context, that appear to superficially agree with the proposed narrative. no quote is provided to support your claim. Useful idiots, already predisposed to the narrative, attack alternatives to the narrative, i.e., the actual scholarship. Oddly enough, only you have attacked the actual scholarship, albeit in defense of your narrative. The Draper-White “narrative” was abandoned by serious historians a century ago; yet the myths live on. The small circle of cranks supporting this nonsense become so invested in these beliefs, that they lack the self awareness to realise that their claims are easily debunked and will be met with widespread derision outside their sheltered groups. Indeed. The lack of self-awareness is marked by all. This is how truth becomes ‘myths’ in the eyes of believers. And predictably, no engagement with the arguments. Complaints about “quote mining”, but neither a demonstration of where the misinterpretation lies exactly nor quotations of the “alternatives to the narrative, i.e., the actual scholarship” — at this point I am beginning to think that these are as mythical as a unicorn strolling down Violin road. Intersperse with innuendos about someone else’s intellectual honest and probity. I was so pleased to get an an acronym in this comment box, ACC; now I see Flynn has three, TOF, YOS and TOS (coming soon: YOF) and I’m again at the bottom of the heap. Previous Previous post: Stream: Bishops Demand World-Wide Decarbonization. Next Next post: This Week In Doom: Justice Kennedy Says Bureaucrats Should Act Like Nazis?